When you work for yourself, it is vitally important to stay on top of your admin. Part of that admin is raising invoices. 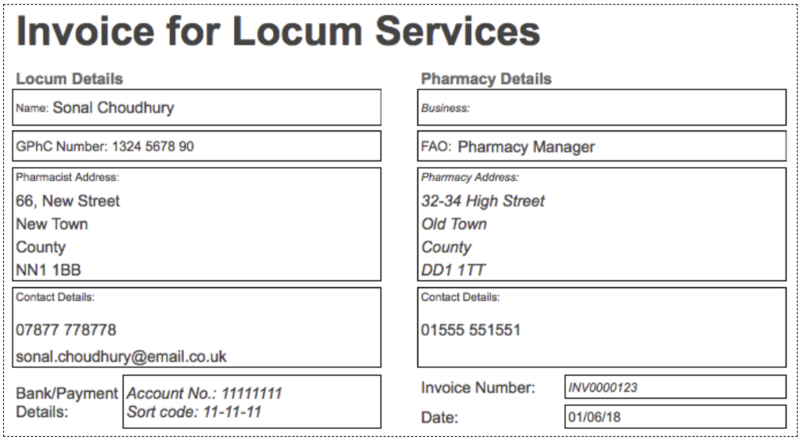 Whilst some pharmacies may have their own locum pharmacist invoice template, either online or in paper form, it’s important to have your own too. 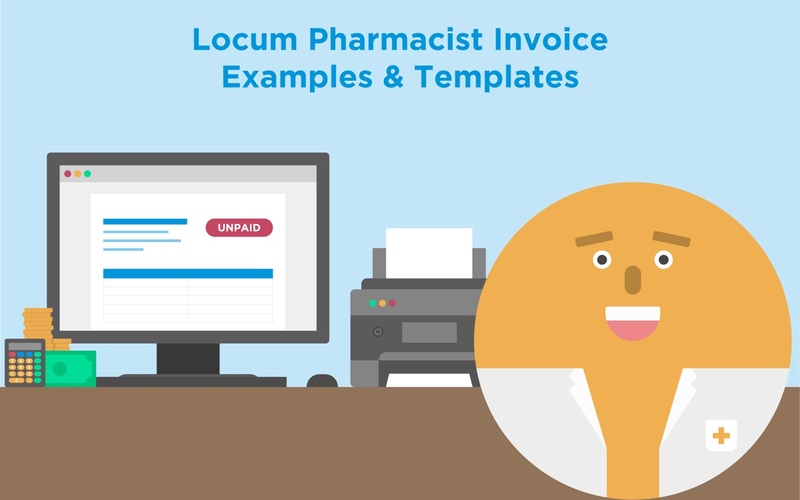 Having an invoice ready to issue at the end of the day can keep things efficient for both you the locum and the pharmacy. 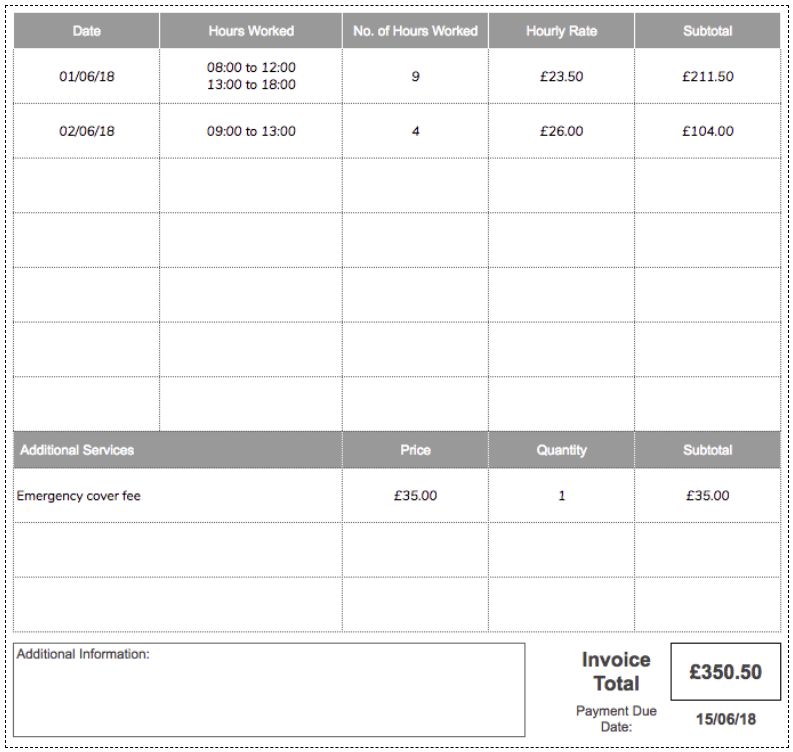 Here is a basic set of data which all locum pharmacist invoices should include. The aim is to provide clear and concise information to make it as easy as possible to get paid. Basic information such as name, address and contact information. Account number and sort code. Sharing this information doesn’t put you at risk as money cannot be taken from your account using them. This is the person who will authorise your payment such as the pharmacy manager. Each invoice you issue will need to have a unique reference number. This could be the name of the pharmacy and the date, or it could be a sequential number from your own invoicing records. For example, “BOOTS20180601” or “INV000001”. This is the date that you issued the invoice. These are terms that you can decide on. Some larger businesses may default to a 30-days payment window, meaning they will pay the invoice within 30-days. You may also ask for immediate payment, or payment within 7 or 14 days. Dates that you performed services or worked shifts on. This may be a total of hours worked that shift or you may wish to show which hours you worked. For example, “08:00 to 12:00, 13:00 to 18:00” plus the total hours worked. This is your locum rate that was agreed with the pharmacy. A simple calculation of hours x rate for each line. Any expenses such as travel that you may charging the pharmacy. This will need to have been agreed in advance. Any additional services you may have performed such as clinics or additional hours. A total for all the work being invoiced. The pharmacy now has all the information they need in order to pay you. You may wish to design your own template or the one used in the example above is available to download here.